From left, David Goeckeler, executive vice president and general manager of Cisco's networking and security business, and Sachin Gupta. 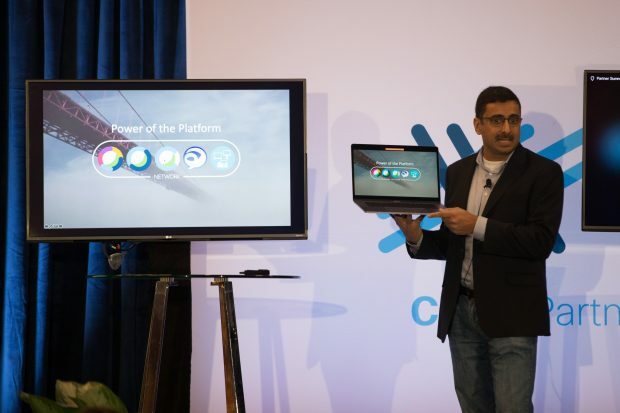 LAS VEGAS – Cisco Systems made another major product announcement at its partner summit by introducing a pair of new Catalyst switches, one of which is targeting the mid-market. Sachin Gupta, senior vice-president of product management for enterprise networking at Cisco, also known as ‘Mr. Catalyst’ by his peers, walked out on stage with the new Catalyst 9200 in hand, describing it as the “baby” of the Catalyst 9000 family that will focus on the smaller branches of the world and cover about a quarter of the world’s ports. 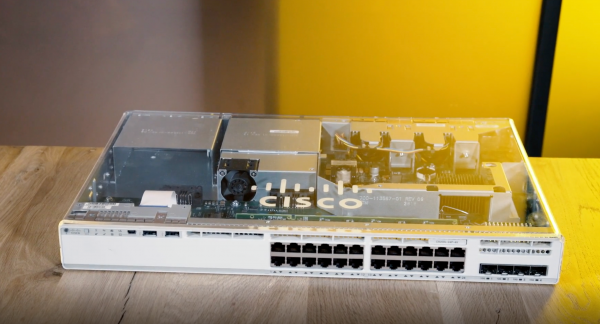 The Catalyst 9000 switch broke company records earlier this year for being Cisco’s fastest-ramping product in its 34-year history. “We’ve never had software availability with these kinds of advanced features,” said Gupta. Those features include software-defined access support, insurance capabilities and support for network-as-a-sensor to detect threats. Gordon Thomson, vice-president of global enterprise networking sales for Cisco, said the 9200 is backed by Cisco’s security portfolio that includes Talos, Trustworthy Solutions, MACsec encryption, and segmentation. Catalyst 9200 Series switch will be available in the first quarter of 2019. Photo courtesy Cisco. Partners who go beyond just selling the 9200 and introduce customers to the Digital Network Architecture (DNA), a software-driven approach to networks, along with its control software, DNA Center, increase their average sale by a factor of 1.7, according to Jason W. Gallo, senior director of partner sales and enterprise networking for Cisco. That figure gets bumped up to 4.1 times greater if they introduce customers to DNA Analytics and Assurance, Cisco’s network monitoring and analytics software. “And that’s not even counting the professional services that are needed every step along the way, such as design, consulting and installation,” said Gallo. Cisco also introduced the Catalyst 9800 Series Wireless Controller. It can be run virtually as software on a 9000 switch and supports the same OS as the rest of the 9000 family. “It can run on AWS, Azure or any virtual machine,” said Gupta. 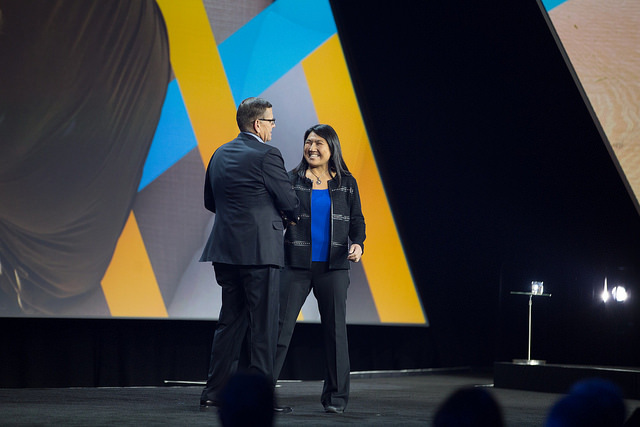 The latest additions to the Catalyst family will help partners and customers prepare for the world of intent-based networking and IoT, Cisco execs explained during the announcement. Gartner predicts that more than 20 billion devices will be connected to the internet by 2020. The Catalyst 9200L switches will be available in the fourth quarter of 2018, while the 9200 switches will be available in the first quarter of 2019. The Catalyst 9800 Wireless Controller will be available in the fourth quarter of 2018 as well.